Republican presidential candidate Rick Perry is not backing down from his controversial remark that it would be "almost treasonous" for Federal Reserve Chairman Ben Bernanke to try to boost the U.S. economy ahead of next year's election. "I am just passionate about the issue and we stand by what we said," Perry told CNN on Tuesday. At a Monday appearance in Iowa, the Texas governor said Bernanke's actions intended to boost the economy out the worst recession since the Great Depression are "almost treasonous." "If this guy prints more money between now and the election, I dunno what y'all would do to him in Iowa but we would treat him pretty ugly down in Texas. Printing more money to play politics at this particular time in American history is almost treasonous in my opinion," Perry said when asked about his views on the Federal Reserve. The Fed has bought trillions of dollars worth of bonds, purchases referred to as "quantitative easing," in order to keep interest rates low and spur the struggling economy. The second and supposedly final round of those purchases ended in June, though the Fed last week signaled it may be willing to pursue a third round of bond purchases if the economy remains weak. The comment was criticized by a number of high-profile Republicans, including former White House spokesman under President George W. Bush, Tony Fratto, and Karl Rove, a top political strategist for Bush. "You don't want to accuse the Federal Reserve chairman of being guilty of a crime punishable by death, which is what treason is," Rove said on Fox News, where he is now a political analyst. Rove has advised Perry in the past, though Bush's successor as Texas governor is no longer a Rove client. 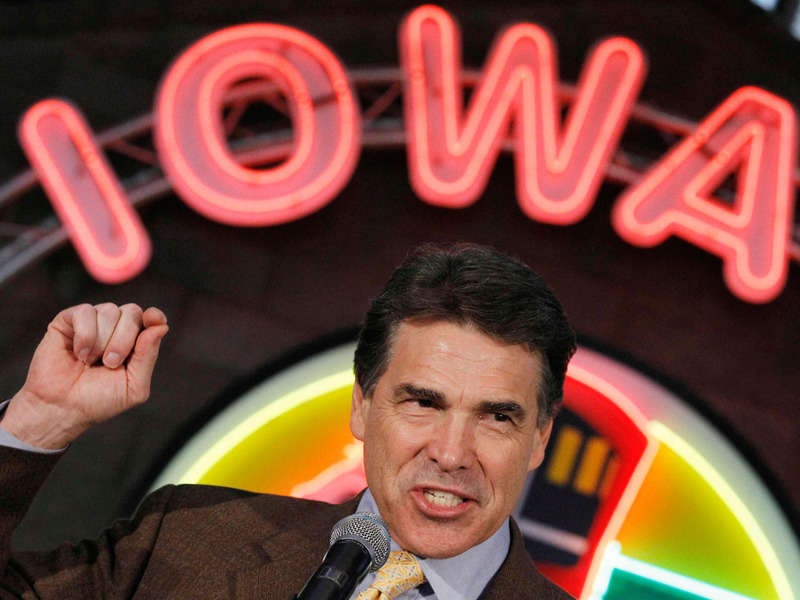 Will Rick Perry's Texas swager help or hurt? Perry calls for more "personal responsibility"
Perry officially jumped in the race for the White House Saturday and is already considered a major player. Perry has a double digit lead over former Massachusetts Governor Mitt Romney, according to one poll released Tuesday. Rasmussen Reports showed Perry with 29 percent support from likely Republican primary voters surveyed by telephone Monday night. Romney garnered just 18 percent, while Minnesota Rep. Michele Bachmann placed third with 13 percent. Bernanke, who served as a top White House economist under Bush before becoming Fed chief in 2006, has lowered interest rates and overseen a host of extraordinary measures to revive the U.S. economy which was officially in recession from December 2007 through June 2009.